CHARLESTON — A Coos Bay woman was arrested Thursday afternoon after attacking a woman following an argument over a pet sunfish named "Lucifer." According to a press release by the Coos County Sheriff’s Office, deputies responded to a residence on Boat Basin Road in Charleston at about 4:46 p.m. after receiving a call of a reported assault. 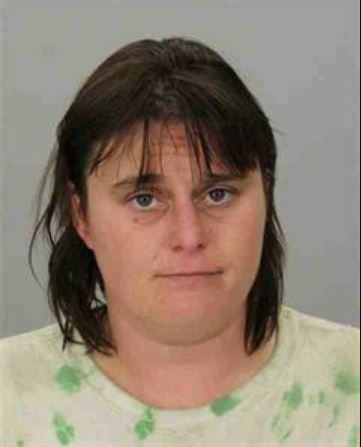 The caller had informed deputies that she had been in an argument with Kathrine Morris-Noblitt, 34, about Lucifer, a pet fish, harassing the other fish in their fish tank. The caller said Morris-Noblitt had become angry and started a verbal argument with her after she removed Lucifer from the tank. After Morris-Noblitt started the verbal argument, the caller allegedly stomped on Lucifer and Morris-Noblitt reportedly physically assaulted the caller causing minor injuries. During the incident, the caller allegedly bit Morris-Noblitt on the arm in an attempt to stop the assault. Morris-Noblitt was placed under arrest and taken to the Coos County Jail. She was charged with fourth-degree Domestic Assault.